The Internet has seeped into nearly every aspect of our daily lives, it’s hard not to be connected these days. Think about the number of websites you have accounts with, and how all of these sites now have some form of personal information of yours. The question is, what exactly do these sites do with your information? The answer lies in the Terms of Service, which are always evolving and hard to keep track of. Luckily, a new website makes it a lot easier to monitor all of these changes. Terms of Service for websites change on a fairly regular basis, and many of us simply have no way of knowing if and when such changes have been made, and what exactly has been changed. That’s why a group of lawyers and professionals started Docracy. According to the website, “Docracy is a home for contracts and other legal documents, socially curated by the communities that use them.” The company aims to make legal documents freely available. Part of this site is the Terms of Service section which is a database of over 1,000 popular websites’ Terms of Service and Privacy policies. It tracks them and notes when changes are made, and highlights these changes so they are easily found. If you visit the site here, you can see a list of changes that companies have recently made, and clicking on one should give you basic change information. Clicking on See Full Changes will bring up the full doc with the recent changes highlighted. Selecting See Full Directory will bring up every policy that the website tracks, and allow you to read them. Is this useful for my business? Online law is very complicated, and many companies that run websites that you may have accounts with often don’t make it easy for you to find legal contracts or policies. A good example of where Docracy is helpful is if you want to know who exactly owns your content stored on a popular cloud service. You can go to Docracy’s database and quickly find the related Terms of Service. From there you can download the document and look through it, or view it on the site. Basically this site can help you get a clearer picture on the various contracts you sign with websites, and how these websites plan to use your data. 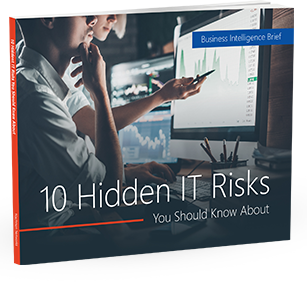 For many business owners, knowing exactly what other companies are going to do with your data can help you find a more secure solution. After all, being prepared with the correct knowledge is half the battle. If you would like to learn more about Docracy, or how a change to a Terms of Service could affect your business please contact us today.